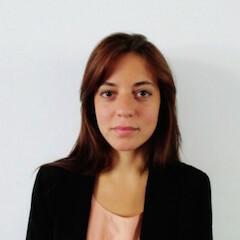 Laura Iozzelli is a PhD Researcher in Political Science at the Institute for European Studies (Vrije Universiteit Brussel) and a Doctoral candidate in Political Science at the Université Saint-Louis – Bruxelles. Her research focuses on the legitimacy of transnational climate initiatives and their role in the global governance of climate change. After earning a M.Sc. degree in International Relations from LUISS University (Rome), in 2014 she received a L.L.M. with honors in Environmental Law from La Sapienza University (Rome) with a focus on the effectiveness of non-compliance procedures established under international environmental agreements. Previously, she worked as an intern at the European Union Department of the Italian Ministry of Foreign Affairs as well as at a Publishing House in Rome. Global environmental governance; Legitimacy of non-state actors in international climate politics; Transnational climate initiatives; EU/international climate policy.